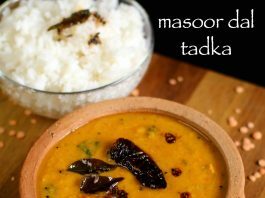 masoor dal recipe | masoor ki daal | masoor dal tadka recipe with detailed photo and video recipe. a simple lentil based curry or soup prepared from red lentil and typically is served with jeera rice or normal rice. 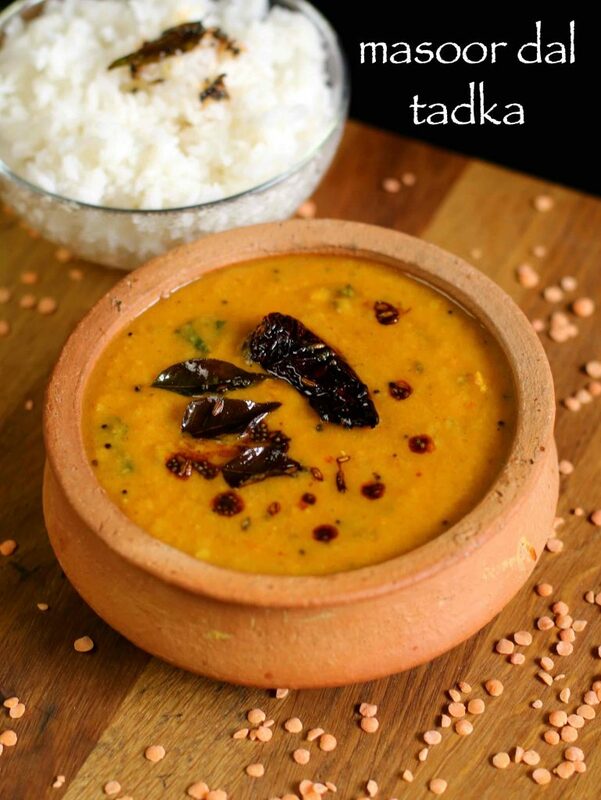 masoor dal tadka is prepared very similar to normal dal tadka in a tomato and onion based sauce with other dry spices. masoor dal recipe | masoor ki daal | masoor dal tadka recipe with step by step by photo recipe. a simple dal recipe which is known for its simplicity and taste is also known as khadi dal recipe in south india or particular in hyderabad. 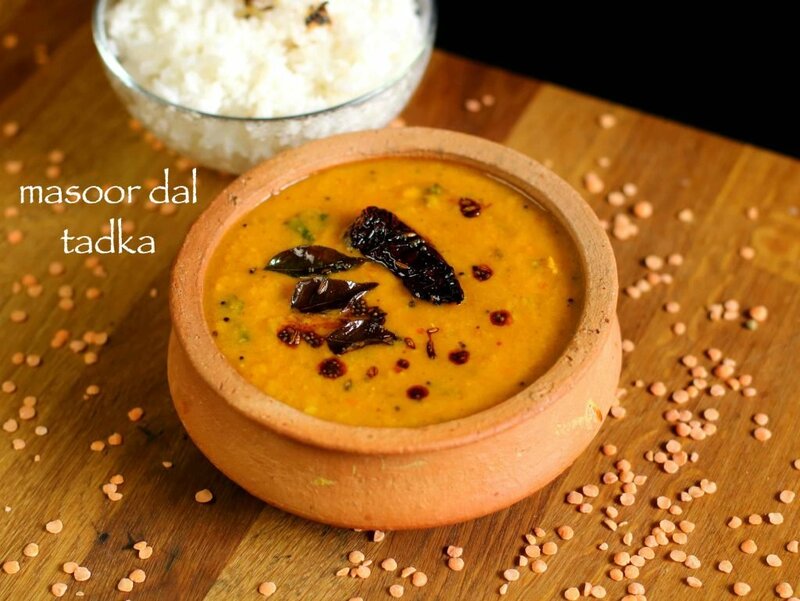 masoor dal tadka is traditionally tempered with spices like chilli powder, garam masala to cooked dal. this is than later typically eaten with any rice recipes like jeera rice, matar pulao or even with roti or paratha. i guess dal recipes are such a common recipe in every indian household, yet we do not give great importance to it. even i had missed this simple and healthy masoor ki daal from my blog, though i prepare it quite often like once or twice a week. every time i prepare it, i introduce some variation to masoor dal and it could be in thickness, tempering or even mix it with other dal. i even experiment by adding fried chopped garlic as tempering with normal tadka. 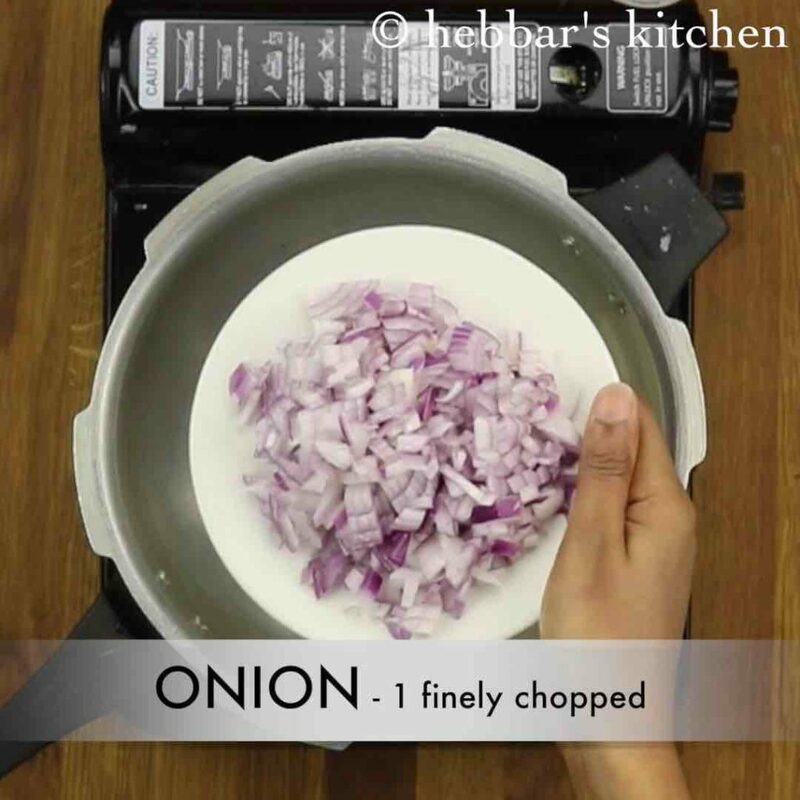 lately, i have started to skip the tomatoes too, and just add finely chopped red onions and with some lemon juice. while the recipe of masoor ki daal is so simple and there isn’t any complicated steps. 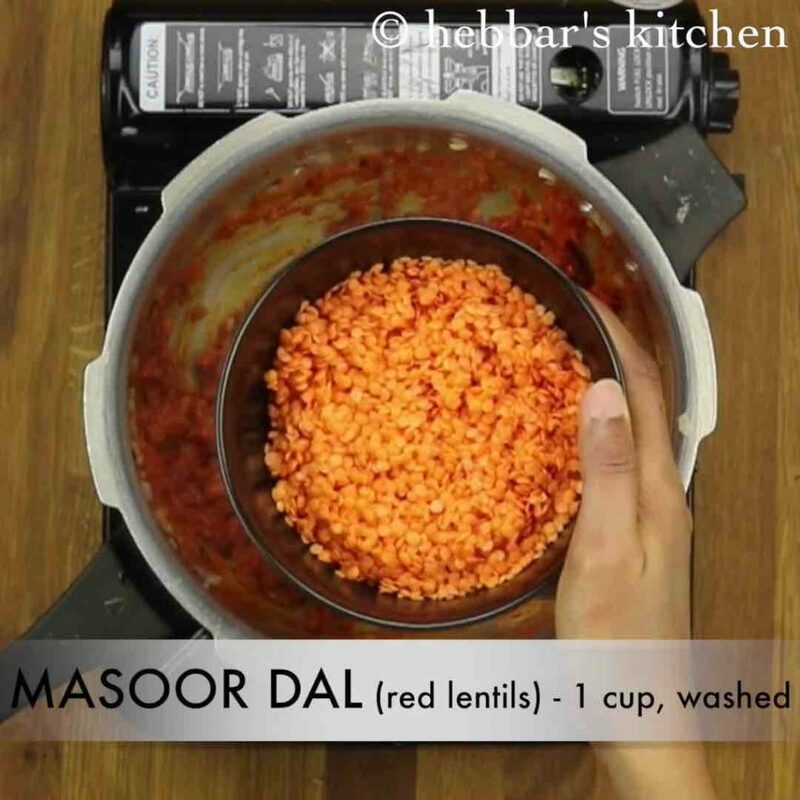 yet i would like to share few tips and recommendations for a perfect masoor dal recipe. i have pressure cooked the dal for 3 whistles which is more than enough for red lentil to cook. comparatively, it get cooked much faster than toor dal or chana dal. 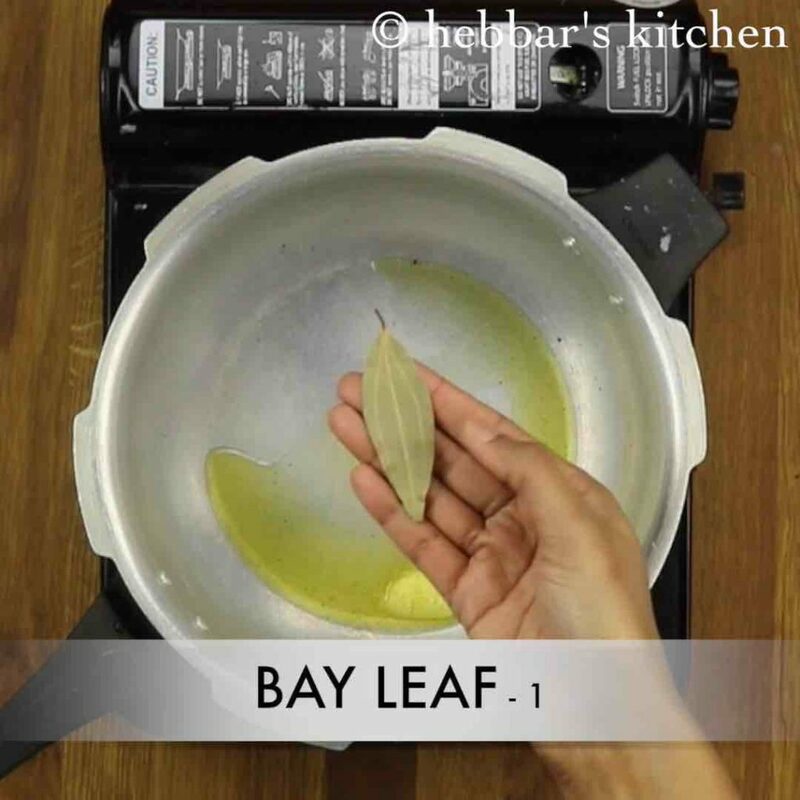 secondly, you can extend the same recipe by adding some methi leaves, palak leaves or even with lauki to make its respective masoor dal tadka recipe. finally, if you like to make it more creamy than i would recommend to add quarter cup of coconut milk just before adding tadka. firstly, in a pressure cooker heat ghee and in bay leaf. also add in ginger-garlic paste and chilli. saute well. 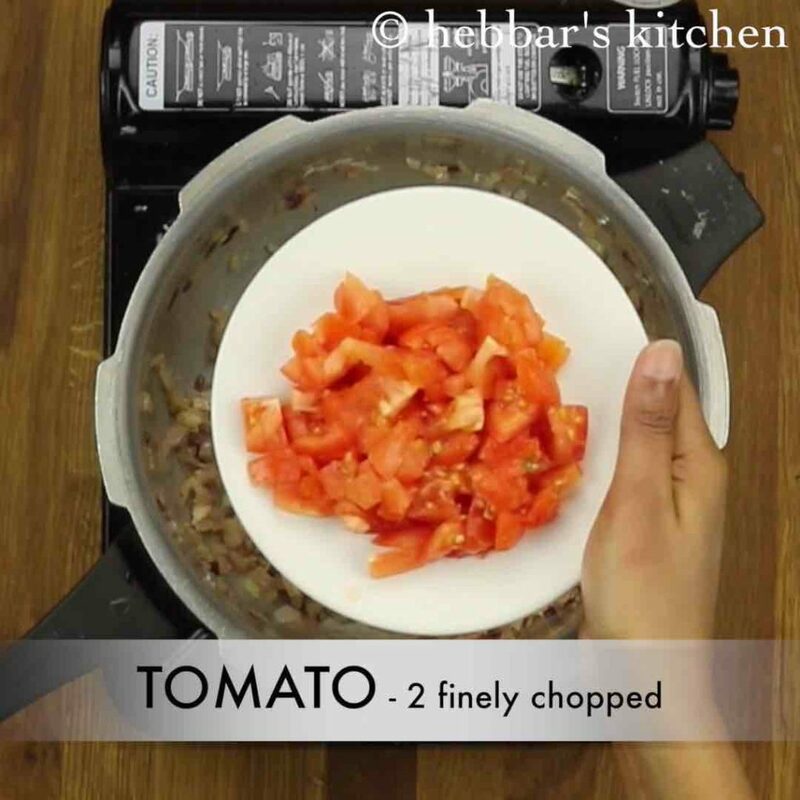 additionally add 2 finely chopped tomato and saute till they turn soft and mushy. add in ½ tsp turmeric, 1 tsp red chilli powder and salt to taste. saute till the spices turn aromatic. furthermore, add in 1 cup washed masoor dal / red lentils. 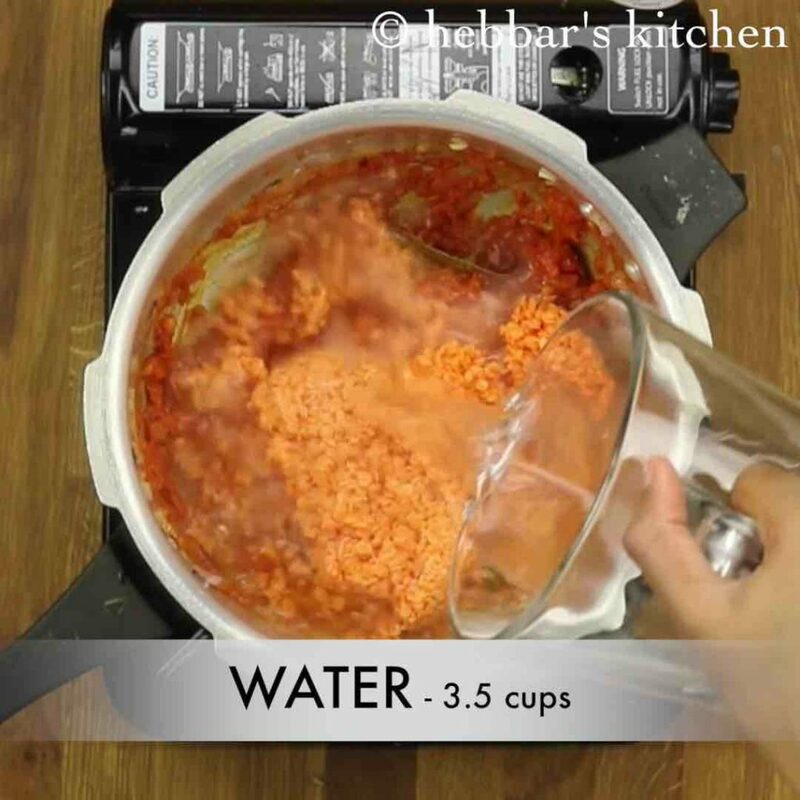 add 3½ cups of water and give a good stir. 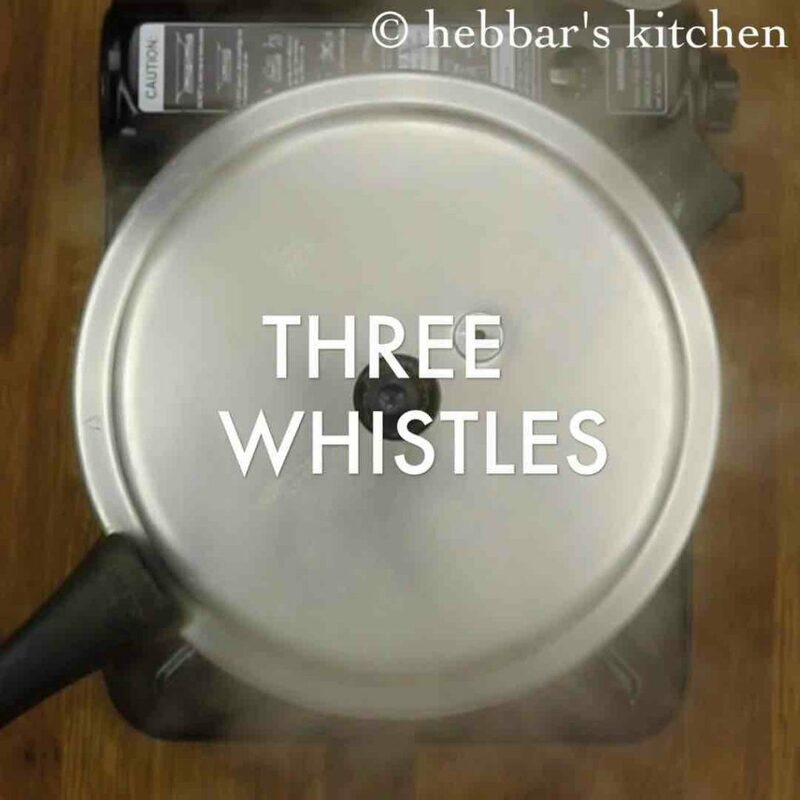 cover the pressure cooker with lid and pressure cook for 2-3 whistles. also add water and adjust consistency. 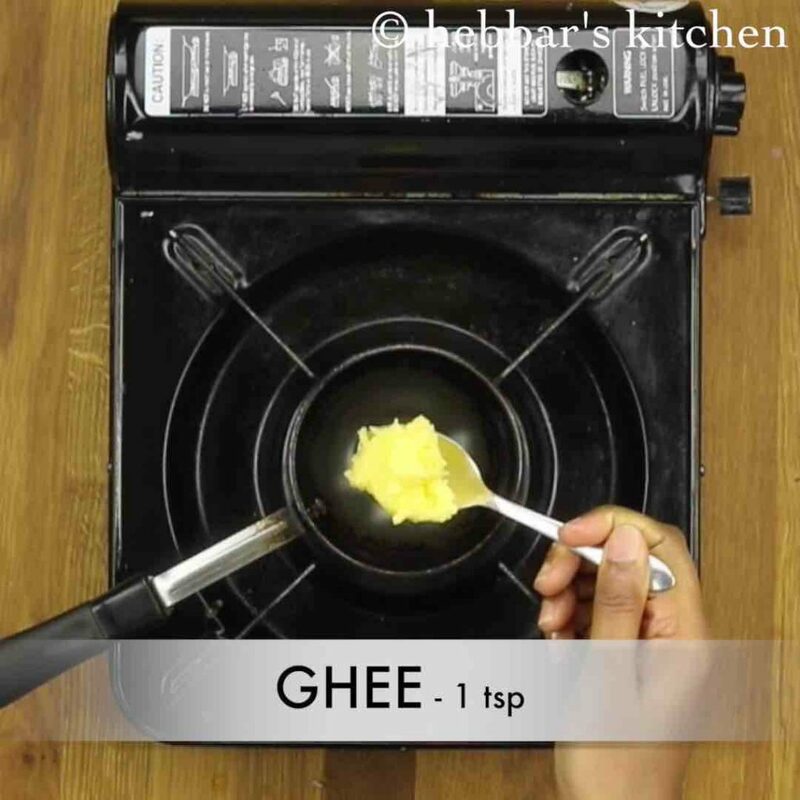 meanwhile prepare the tempering by heating ghee in a small kadai and add all the tempering ingredients. once the tempering splutter, pour over the dal. add in chopped coriander leaves and mix well. finally, serve masoor dal fry hot with rice or roti. 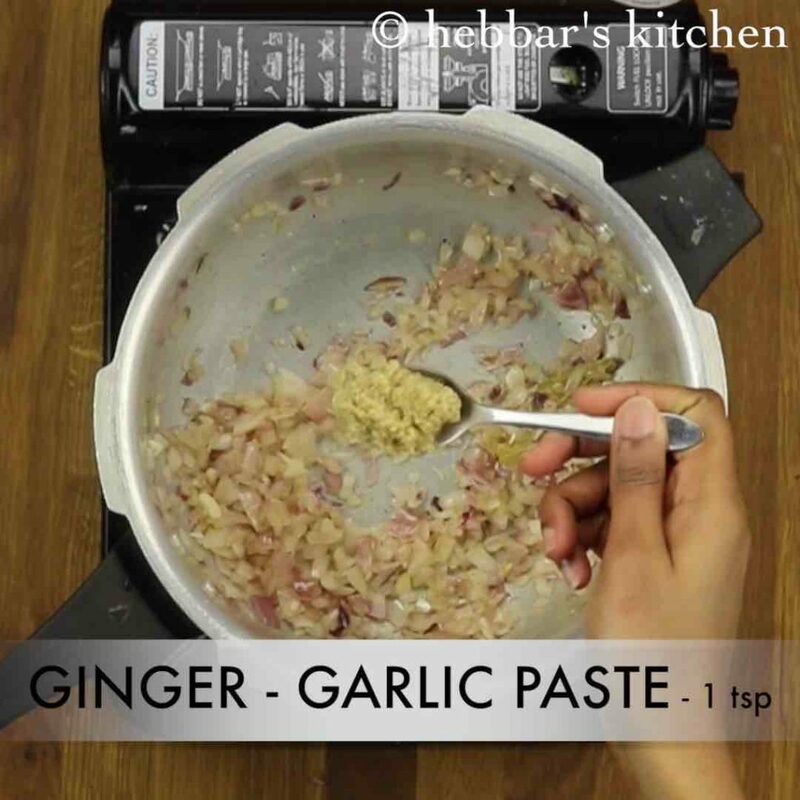 also add in 1 tsp ginger-garlic paste and 1 green chilli. saute well. cover the pressure cooker with lid and pressure cook for 2-3 whistles on medium flame. 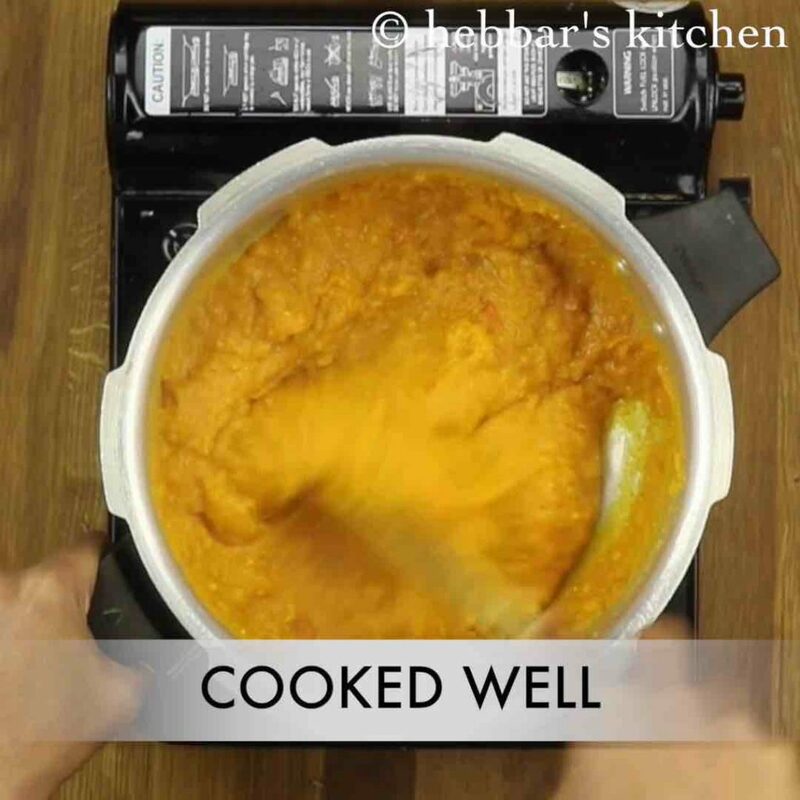 once the pressure releases, check if the dal has cooked well and mash slightly. also add 1 cup of water and adjust consistency. get the dal to a boil. meanwhile prepare the tempering by heating ghee in a small kadai. 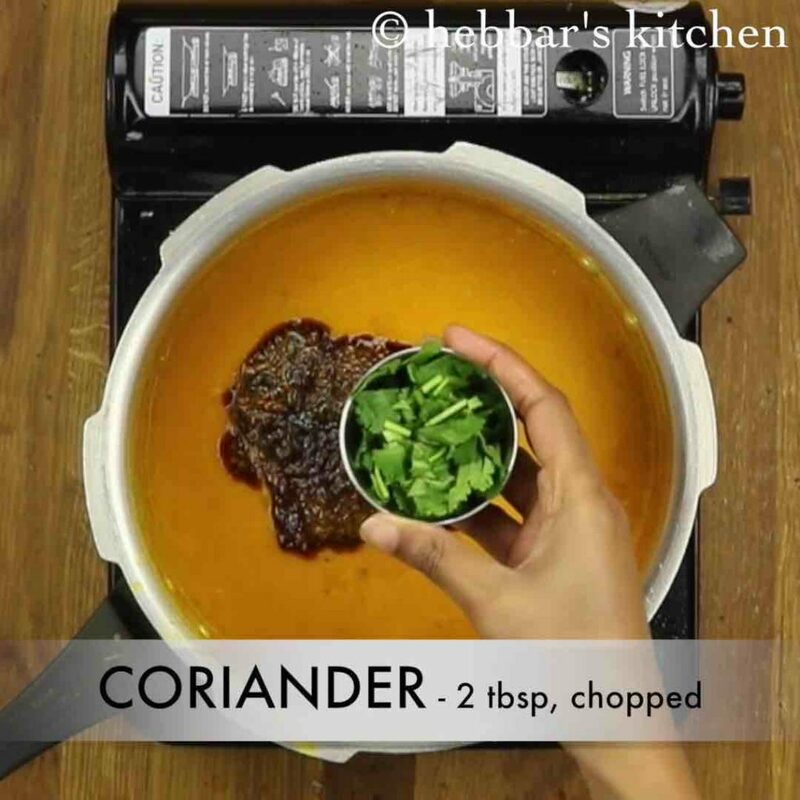 add in 1 tsp mustard seeds, ½ tsp jeera and pinch of hing. also add ¼ tsp chilli powder and ¼ tsp garam masala powder, few curry leaves and dried red chilli. 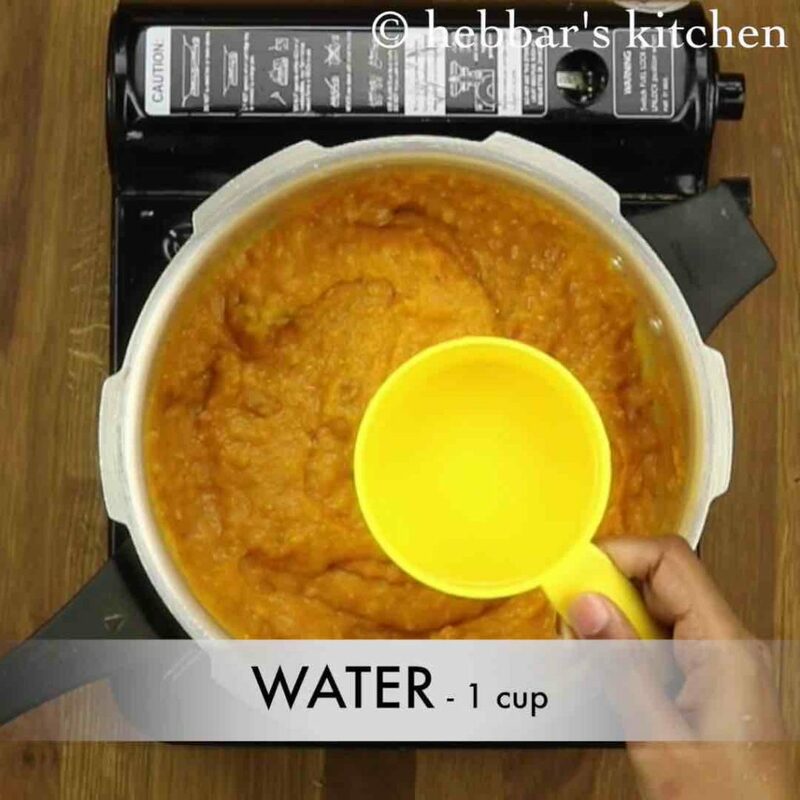 firstly, adjust the consistency of dal before serving, as the dal thickens soon. additionally, adjust the amount of green chilli depending on spice level. 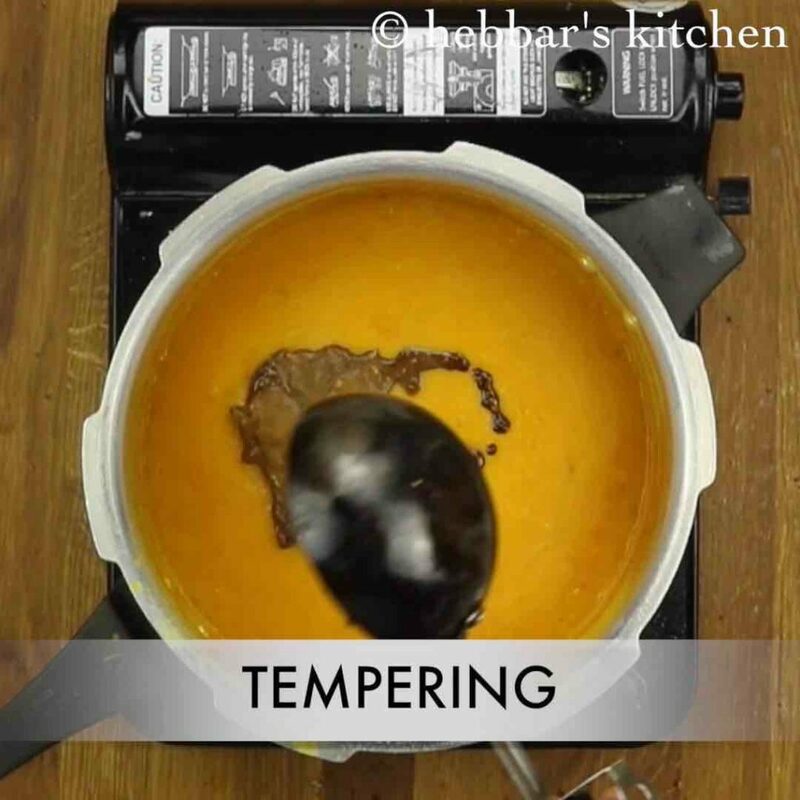 furthermore, pour the tempering just before serving to enhance the flavour of masoor dal fry. finally, masoor dal recipe or masoor dal tadka taste great when they are cooked on low flame. does it go well with millets? 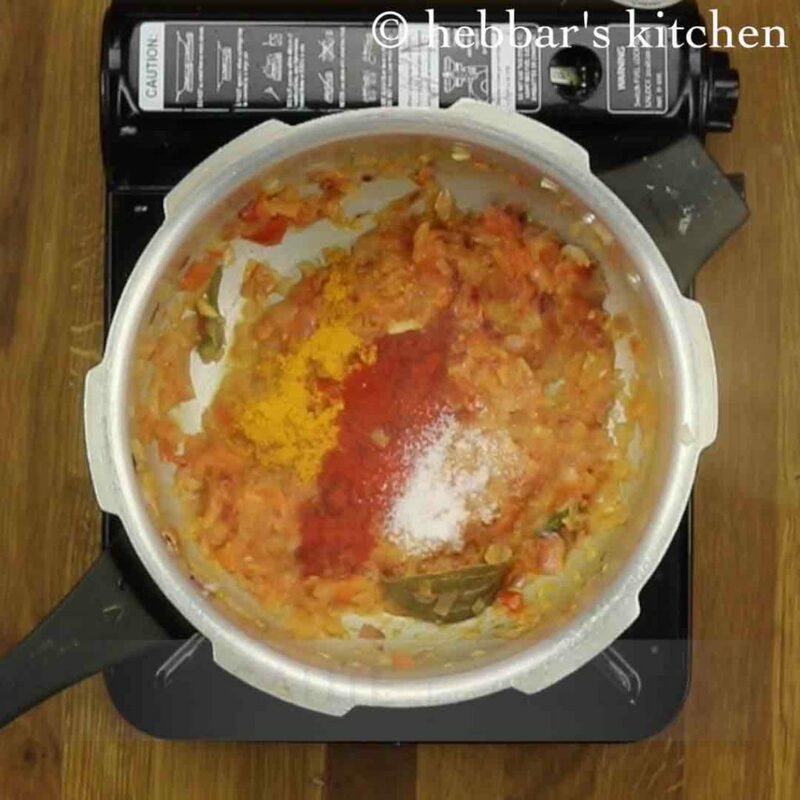 hi Hebbar, I tried this Madhe dal recipe and everyone loved it! My mom makes dhal another way. I have tried few recipes of urs and the results were superb. Thanks for ur recipes…..
One of the best dal recipe…. I love your recipes , i tried couple of them and will enjoy more, I am very very bad at judgement with salt which makes it hard for me to follow exect recipe with perfect taste, please help, is there any general rule of thumb, i can use!? for eg, I am gonna try masala vada next, what do i do with “salt to taste” trouble!?!? you can safely start with 1/2 to 3/4 tsp for the masala vada recipe. perhaps you slightly increase or perhaps decrease it based on your taste.